As summer temperatures invariably rise, keeping effortlessly cool and on top of your hydration game is certainly a challenge. This comes just as Coca-Cola has revealed its second-quarter results. The numbers show that its North American carbonated drink volumes rose just 1 per cent, compared with a 4 per cent increase in noncarbonated drinks, including double-digit growth in its Smartwater range. 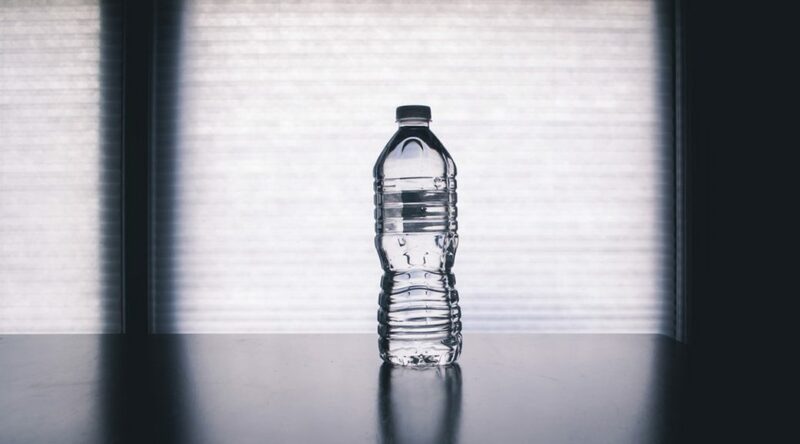 According to beverage industry experts contributing to a report into the market conditions within the United States, taste-makers are convinced that the popularity of bottle water will soon make it the non-alcoholic beverage of choice. The research highlights another potential area of resistance too and that concerns flavour. With consumers attempting to rationalise their lack of enthusiasm for the liquid saviour by bemoaning its lack of flavour. In order to answer these detractors, marketers are introducing new bottled water products in an assortment of vibrant colours, exotic flavourings and fashion-forward packaging. Another relatively new innovation that could help boost the bottle’s appeal are water enhancers. Introduced by Kraft Foods in 2011, water enhancers can completely transform your otherwise plain water into something that little bit more exciting. According to a marketing executive with the DASANI brand, around 20 per cent of households buying bottled water also buy liquid water enhancers. As liquid water enhancers multiply in terms of numbers and innovative characteristics, they are likely to play a major role in shoring up the bottom lines of major beverage marketers. A new study shows there is increasing focus on Supplier-Enabled Innovation (SEI) among global sourcing and procurement executives. New research by Procurement Leaders has detailed that procurement is a key enabler of corporate innovation thanks to the connectivity it enjoys with suppliers and key business stakeholders. According to the Chief Procurement Officers polled, procurement is engaged in a new role that takes responsibility for connecting capability in the supply base with stakeholder and consumer need. In doing so – it opens the doors to the benefits of Supplier-Enabled Innovation (SEI). “Tapping into the enormous capability of the thousands of suppliers with whom we do business is perhaps the single largest opportunity procurement has,” said John Paterson, Chairman of the Procurement Leaders Advisory Board and the former Chief Procurement Officer of IBM. The Procurement Leaders Supplier-Enabled Innovation Compass explores 22 different activities that can be used to unlock innovation from suppliers; and found that connectivity with suppliers and consumers and the use of technology are key enablers to success. Trail-blazers in SEI put a large emphasis on the time procurement spends with its key suppliers. Procurement must better understand consumer needs and aspirations if it is to successfully deliver results through SEI. Procurement must see innovation as a formal, disciplined process if it is to achieve success, yet only 34 per cent do. The research involved quantitative research and in-depth interviews among members of the Procurement Leaders community. Do you count yourself as a member of Procurement Leaders? Procurious has just added functionality that allows you to display a Badge on your profile page. Click here to add your Procurement Leaders Badge now. Call me cynical, but am I alone in not buying into Nespresso’s sustainability spin? This article posted on Procurious highlights the great work that the coffee pod producer is doing to develop a sustainable supply base by investing in infrastructure and capability in war torn South Sudan. Those efforts are worthy of praise, no question about it, but I can’t help but feel we’re having the wool pulled over our eyes by Clooney and co.
You see, a implementing a sustainable supply chain initiative or marketing your sustainability policy does not a make a business sustainable and I’d argue that Nespresso’s core business is not in the slightest way sustainable. Nespresso (and it’s competitors) pods have boomed in popularity in recent years. 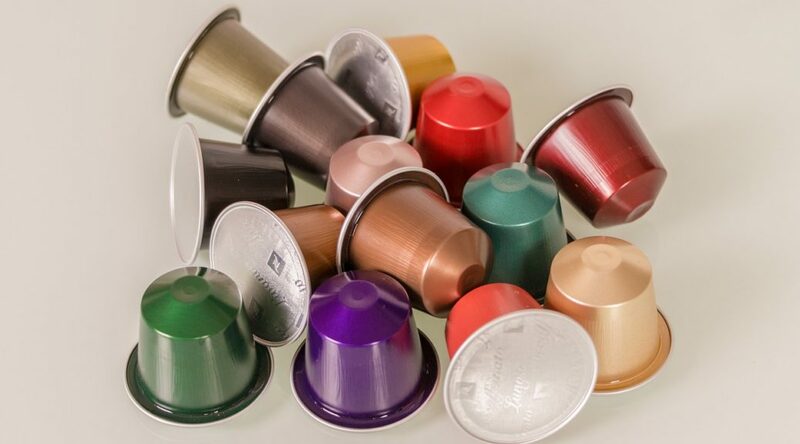 It was estimated that in 2013 Nesspresso sold 28 billion coffee pods to consumers. Annual sales figures have surely climbed further in the proceeding two years. But lets focus on the 2013 figures. An article on the theconversation.com suggests that producing 28 billion coffee pods would require 28 million kilograms of Aluminium. 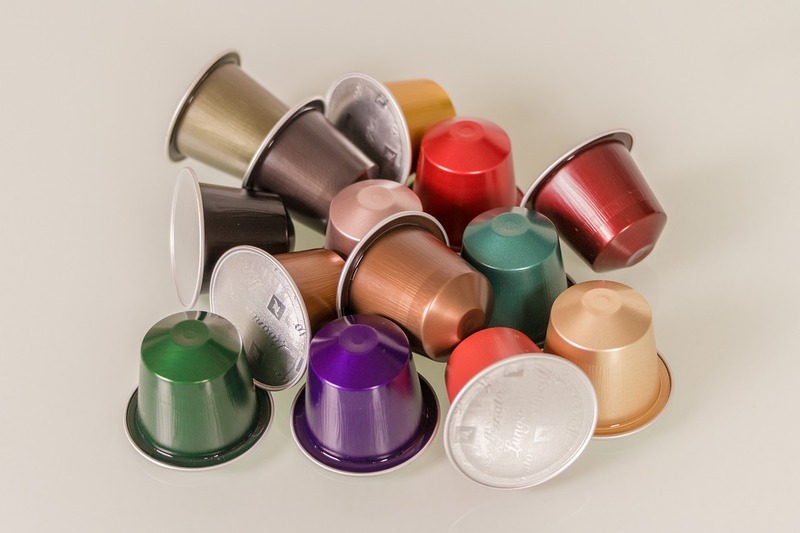 Given that most local recycling facilities are not yet able to process aluminium coffee pods, I’m willing to bet that a huge percentage of these caffeinated containers have found their way into landfill. It’s not only bulging landfills that raise sustainability concerns around aluminium coffee pod industry. While marketing from Aluminium producers focuses on the metals’ ‘infinite recycling potential’, it fails to mention that mining, refining and smelting the metal is one of the most energy and water intensive industrial processes that humankind undertakes. Also, if we don’t recycle the Aluminium, which in Nespresso’s case, we don’t, the recyclability of the metal is inconsequential. The fact of the matter is that a decade ago, our morning cup of coffee required no aluminium and produced next to no personal waste. Today our collective morning cuppa requires 28 million kilograms of Aluminium per year and results in us throwing something in the rubbish bin everyday. Even if the coffee is produced ethically and the farmer is receiving a fair wage, can this behaviour really be called sustainable? Jon Dee, the head of environmental group DoSomething and founder of National Recycling Week weighed into the debate claiming that “George Clooney has almost single-handedly launched an entire new waste stream globally as a result of fronting the Nespresso adverts, it shows the Clooney effect has undoubtedly been enormous in this. But George Clooney – for a guy who is so switched on to civil rights and other issues – to lead the charge in causing such environmental damage and waste and other issues is really disappointing.’’ I’m not sure I’d go as far as holding Mr Clooney responsible for creating the waste, but the company that employ him certainly have some questions to answer. Even John Sylvan, the inventor of the Keurig K-Cup (another brand of coffee pod) has expressed regret about the product, conceding that his brainchild is expensive, addictive “like a cigarette” and will “never be recyclable”. Speaking to The Atlantic he said “I feel bad sometimes that I ever did it”. Like most matters concerning sustainability, the power lies with the consumer. What we buy will dictate what they produce and how they produce it. At the moment we seem spellbound with convenience (or is it laziness?). Western consumers like to think they are supportive of the environment… so long as it doesn’t impact on an increasingly long list of creature comforts. Large brands are wise to this and have adapted their marketing messages accordingly. That’s why companies like Nespresso are able to wrap a green ribbon around business that has fundamentally changed the amount of waste we produce and call it sustainable. Is Your Procurement Technology a Solution or Just an ‘Empty App’? There are hundreds of procurement technology products in the market today – from standalone tools to end-to-end platforms. But are they really ‘solutions’ or just ’empty apps’? Let’s look at an example. Satellite navigation was a technology that had to be developed in order to make commercial sense of GPS. 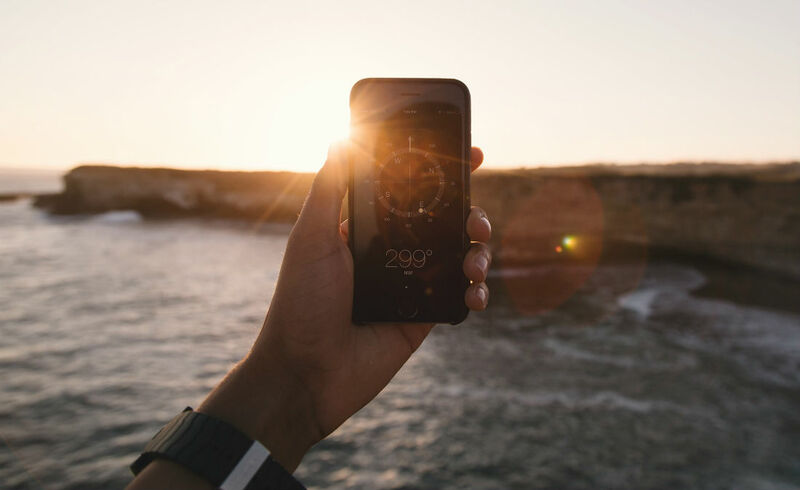 Originally developed to guide cruise missiles to their targets, GPS is quite an extraordinary feat of engineering which we now take for granted due to the ubiquity of SatNav devices and apps on smart phones. Critical to the success of SatNav are the maps. The ‘data’, if you like. The quality and utility of these apps is entirely dependent on the content. Without map data, your SatNav is just a shell, literally an empty app. As I discovered recently landing in the USA with a cool new navigation app on my phone – for which I had completely neglected to download the map dataset for the region I was in. A useless, empty app. The same is true of procurement technology products. You may note I have used the terms ‘products’ in place of the more often-used euphemism, ‘solutions’. For a piece of procurement technology to be a solution to anything, its use must deal with existing issues and provide better outcomes than if it were not used at all. My phone app at that point was definitely not a solution. Heretical as it may sound, in the world of procurement technology there is no guarantee that deployment of expensive, fully-featured software alone will make life better for your organization. Large-scale implementations of procurement technology systems are always complex and require considerable effort and investment to pull off. Delivering a return on that investment is not a done deal until you can really demonstrate the benefits and savings generated. Increasingly, then, CPOs and industry professionals are looking closely at procurement technology to see how it will generate the desired results and what is. The focus is more on usability and effectiveness, rather than features and functionality — whether the procurement technology being considered is more than just an ’empty application’. And that’s the whole point. 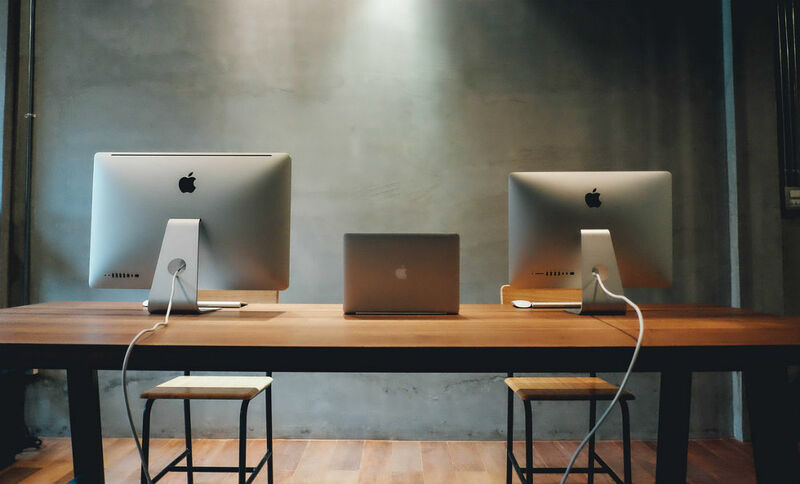 It’s one thing to have all the functions and features, it’s quite another to be able to use the software to deliver results quickly, efficiently and without months of additional effort. So What Should Procurement Technology Be Like? The opposite of ’empty’ procurement technology, then, is that which is packed with valuable data already. Best-practice templates for contracts and sourcing, category taxonomies that match your business needs, market intelligence, category information and industry benchmarks are all examples of how procurement technology can be enriched “out of the box”. That’s not to say that one size must fit all. Far from it. In fact, it is highly likely that each company’s definition of best-practice data will be unique. 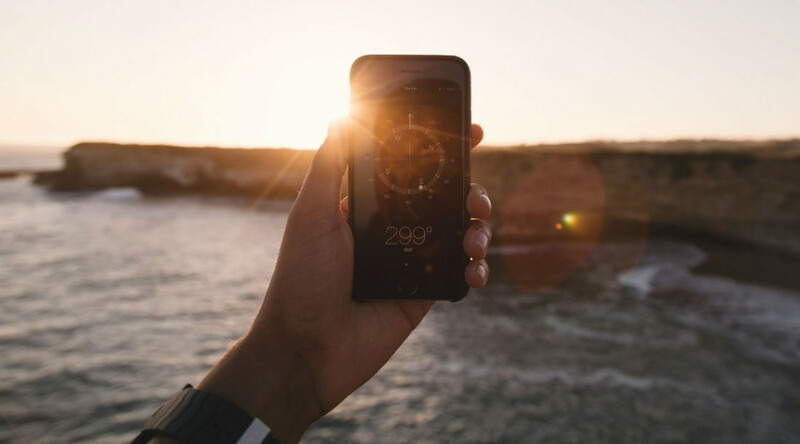 Just like the SatNav app, for which, you can choose to download maps based on your needs, smart, intelligent procurement technology should allow you to access best-practice templates, workflows, checklists, among others on demand, as and when you want. That’s when your procurement technology will do what it’s supposed to do – drive savings and performance across the enterprise, and not become just another empty app. Paul Blake leads the technology product marketing team at GEP, a leading global provider of procurement technology solutions that help enterprises boost procurement savings and performance. Scenario Planning: A Field Guide (Back) To The Future? A flash of light as the time machine lands outside Marty’s house, it crashes into the trashcans and out steps a futuristic looking Doc Brown looking panicked as he reveals part of the future to Marty. If only we could see the future we could be better prepared. If I had known that was going to happen I would have made a different decision. Refrains you may have heard (or even said) but fear not, there is hope, there is a thing called Scenario Planning. 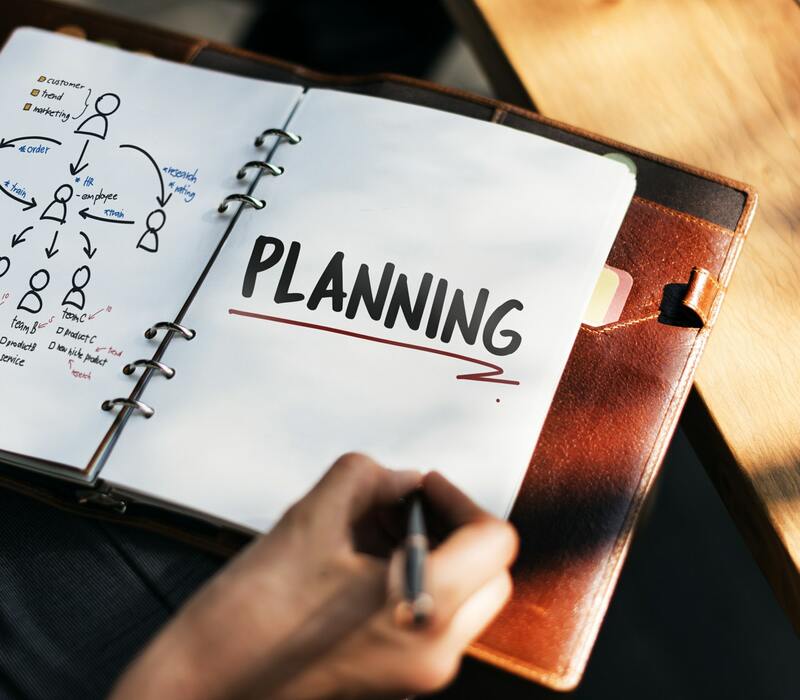 Scenario Planning (sometimes called “scenario and contingency planning”) is a structured way for organisations to think about the future. These scenarios are meant to help us recognise and adapt to changing aspects of our present environment. They form a method for articulating the different pathways that might exist for you tomorrow, and finding your appropriate movements down each of those possible paths. (The Art of the Long View – Peter Schwartz). In procurement we have access to a wealth of information about what may happen in the future, we get this from regular meetings with our suppliers and total supply chain. So we have access to lots of information (or can do if we schedule the above) but what do we do with it? The concept of Scenario Planning is not new, Shell has been using scenarios for over 40 years and here is a link to what they think may happen to 2025. Meet with incumbent and non-incumbent suppliers regularly to understand trends and what their strategic plans are. Meet with key internal stakeholders are regularly to understand the future business needs. It’s also imperative to identify which issues to focus on (i.e. the ones that will have the most impact). By focusing on the critical uncertainties, achieved by the group discussing and agreeing which of the issues need more attention this allows for a matrix to be developed and the potential scenarios to be placed within them. This will then give you focus on the areas that are most likely. PESTLE and Porters five forces are excellent tools that you can use to help build profiles and give you a framework for data collection. What are the attributes of the scenario? What are the catalysts that would indicate that one of the scenarios is likely to happen? What RSS feeds do you subscribe to? How are you collecting information? What social media sites are you using for information? As an example of future thinking the Faculty in 2013 produced future ready white paper which identified the following areas and conducted in depth reviews of them. 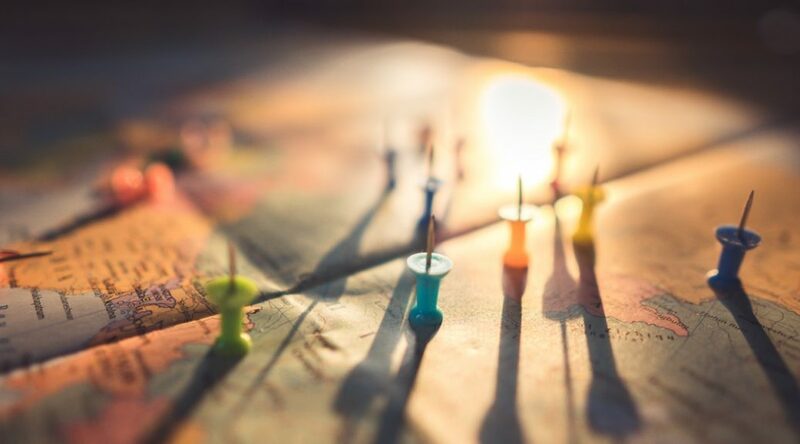 Geopolitical uncertainty will impact how we look at and calculate risk; shifting demographics will change the way we look at talent; digital revolution will change the way connect and social awareness will impact and change the supply chain. 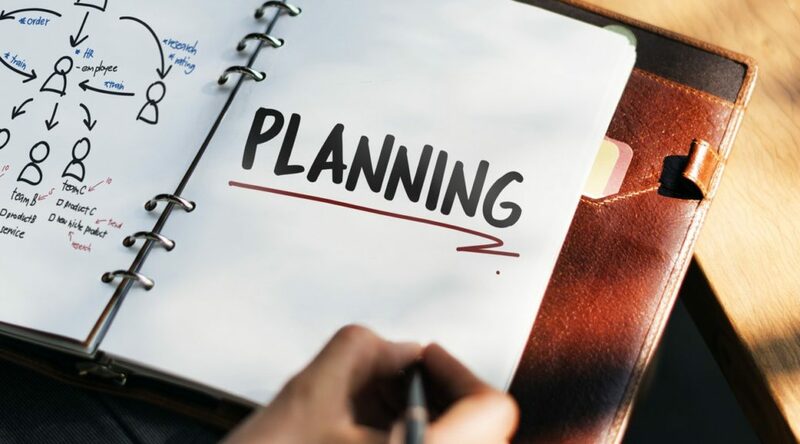 Scenario planning is important to us and our organisation as we can’t all rely on a friendly scientist coming back from the future to tell us what is going to happen. Apple Pay has launched in the UK amid increased demand for smart wallets and connected services. Apple Pay is now live in the UK – the first country outside of the US to offer the contactless payment service. For the launch both Visa and MasterCard have announced they will offer cardholders immediate access to the new service, granting them the freedom to use their cards where and how they want with a seamless experience. Security and privacy is at the core of Apple Pay. When you add a credit or debit card to Apple Pay, the actual card numbers are not stored on the device, nor on Apple servers. Instead, a unique Device Account Number is assigned, encrypted and securely stored in the Secure Element on your device. 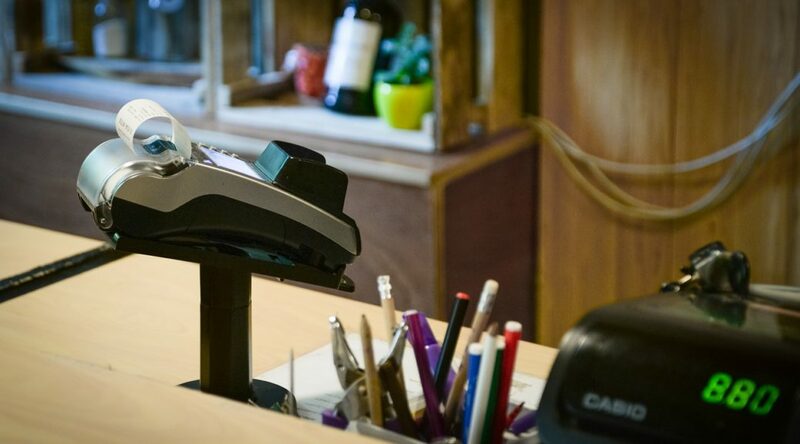 Each transaction is authorised with a one-time unique dynamic security code. Steve Perry, Chief Digital Officer at Visa Europe, comments on the rollout: “Apple’s entry to the market represents a critical piece of the mobile payments jigsaw. This is a pivotal moment for digital payments and one that demonstrates the momentum behind mobile and contactless services. Are there other players too? Indeed. It’s not just Apple innovating in the digital payment sector… Elsewhere, Android Pay is also vying for dominance in this lucrative space. Android Pay is Google’s direct response to Apple’s mobile payment system, and a successor to Google Wallet, which (notably) has gained little traction over the past four years. Samsung Pay is also set to debut this September in both the handset maker’s own territory and the US. And although Apple has dominated the lion’s share of the headlines, banks, card providers and retailers are keen to ensure they don’t get left behind – with each championing a digital payment system of their own. Zapp will soon allow those with older smartphones to make bank debit payments, Barclays’ customers can use Pingit and PayM, while Visa card holders are also able to take advantage of the V.Me service. Of course if you’re after a complete card replacement then you’d be wise to look at Wocket is doing. Wocket has been designed to protect your identity and replace your old wallet. It can save all of your cards to one place, securing their details with a combination of pin and biometric voice print technology. But it’s not just your wallet that’s getting an upgrade… At Mobile World Congress Shanghai 2015 – Visa unveiled its first foray into connected car commerce. The proof-of-concept solution is powered by Visa Checkout (and other innovative mobile technologies) to create in-car purchase experiences that are secure, convenient and easy. If successful it is envisaged to be applied to quick service restaurants, petrol stations, car hire and parking services. Did Uber just declare war over your future driverless car service? What’s it gone and done now? Microsoft has sold its map-generating technology to the transportation kings in a move that will bolster its own mapping efforts, and ignite a spark in the war for driverless car services. As part of a much-bigger move that saw the Seattle technology giant sell its display ad business to AOL, Microsoft is offloading some of Bing’s mapping assets (along with 100 engineers) to Uber. It is thought the technology will greatly aid the ride-hailing firm’s autonomous car project. Uber has been observed testing an early version of its self-driving car. The rival self-driving taxi will inevitably take on the likes of Google and Apple, and is being developed with Carnegie Mellon University. Pictures show a system comprising of cameras and sensors, capable of mapping nearby objects, installed on the roof of the car. Currently Uber relies on Google Maps for all of its mapping needs, so this acquisition will bring the firm closer to building its own mapping technology and data collection tools. In some territories Uber has its eyes set on other endeavours too, the logistically-themed UberFresh (a food delivery service) and UberPool (its answer to carpooling). Uber is developing its driverless cars at the ‘Uber Advanced Technologies Center’ in Pittsburgh, Pennsylvania. 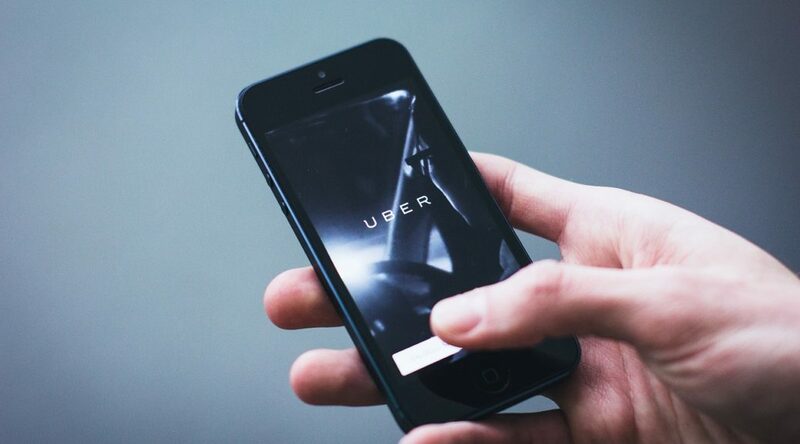 Earlier this year at Procurious’ Big Ideas Summit, Uber was referenced on more than one occasion as an example of best practice. 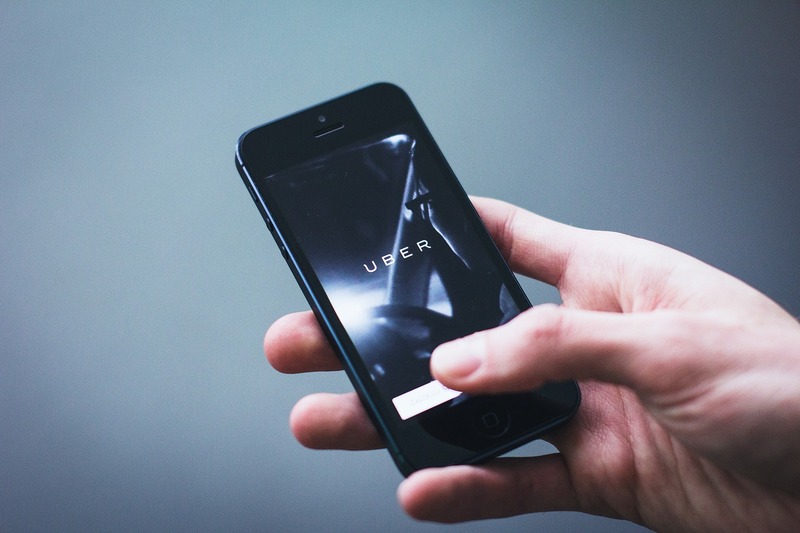 The Hackett Group’s Chris Sawchuk reckoned that procurement could learn a lot – citing the agility and flexibility in Uber’s business model. Read what Chris had to say. Similarly, it is banded into something we call ‘the sharing economy’. Along with services such as Airbnb, Uber is changing the very way we procure – moving us away from outright ‘purchasing’ and instead encouraging more of a ‘borrowing’ economy. We’ll obviously continue to monitor Uber, it’s driverless car ambitions and more. It’ll be interesting to see where it goes from here! IT Spend – Do You Know Who’s Calling The Shots? Do you know who’s responsible for your organisation’s IT spend? As you well know, Procurious is the home of the procurement and supply chain functions on the Internet. We’re not alone in the world of niche social networks however. Spiceworks is a vertical social media site for IT professionals. It functions in much the same way as a Procurious does. A repository for knowledge sharing, a place to get questions answered and somewhere to connect with the global IT community. Spiceworks recently released a report that we believe the Procurious audience will find interesting. The report is pitched at those marketing to IT decision makers and details who has the final say on IT purchasing decisions at different sized organisations. Perhaps naïvely, there is no reference procurement’s role in the IT purchasing cycle, but its findings (listed below) are none the less interesting. Generally in organisations of this size, either office managers or company owners themselves make IT purchasing decisions. Purchasing processes tend to be unsophisticated or non-existent. 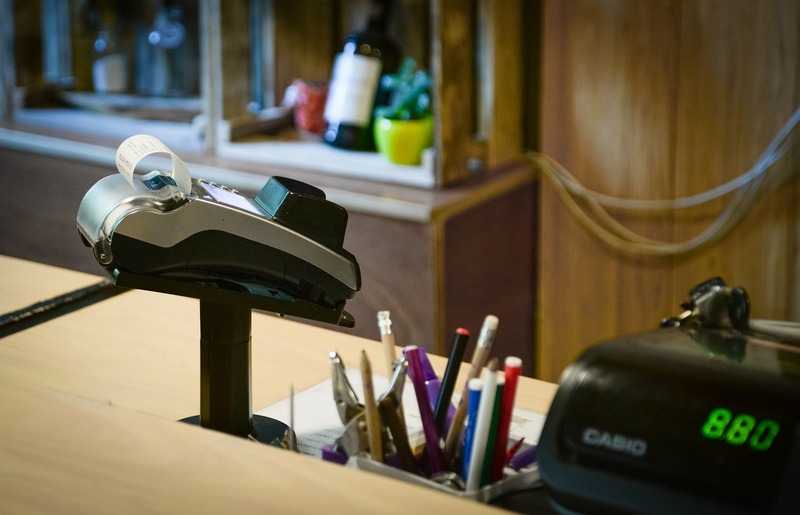 Purchasing tends to take place at retail stores and is based on driving events like a new employee starting or current equipment breaking down. Organisations of this size will tend to have at least one IT generalist that is responsible for making IT sourcing decisions. These organisations don’t posses the bulk buying power of larger companies and hence, are very careful with their IT budgets. Decision making power likely still lies with non-IT management, but close attention is paid to the advice provided by IT staff members. As companies grow in size, so too does the complexity of their IT requirements. Firms of this size will generally have a small but highly skilled IT team, led by an IT director (or equivalent). Purchasing power will tend to reside with the head of the IT function. 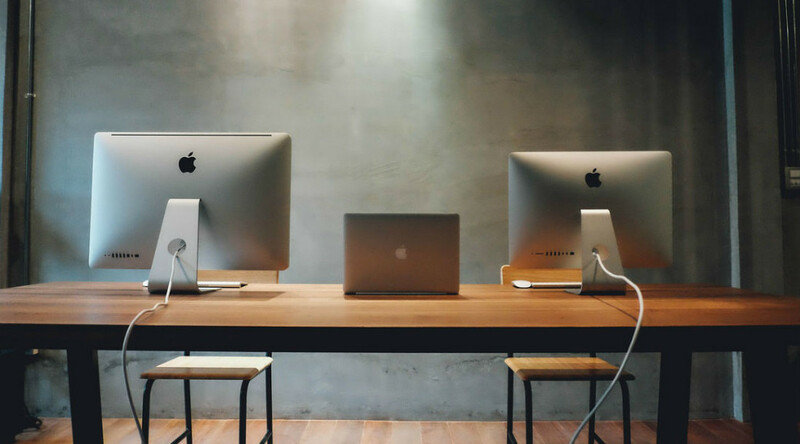 These companies are purchasing IT products and services on a regular basis and are generally looking to establish close, ongoing relationships with suppliers. The relationships these firms have with their suppliers tend to be collaborative, with the IT team often asking suppliers for information and advice on IT investments. The sheer size of these organisations requires a well structured IT team. It is not uncommon for IT functions in businesses of this size to run to 20 people. Generally, a sound hierarchy of responsibly and purchasing authority has been established. The team will often be led by an IT director or VP that is viewed as a senior executive within the business. This IT director, will still likely maintain a hands-on role in delivering IT solutions within the business. Enter the CIO. Throughout the report, Spiceworks touches on the fact that many marketers target the CIO as the key to unlocking IT spend. At the smaller firms, this isn’t exactly true as many wont even have a position of CIO. However, at the enterprise level the CIO is well and truly present. A good CIO will have strong relationships with the supply market, both with his current suppliers and the external market. He will understand what is current in the IT space and will have final say on any major IT purchases. He should not be the only point of contact for IT marketers however. IT decisions in these large organisations are often made by staff a few rungs down the IT corporate ladder. What are your thoughts about this split? In your experience, is this where the decision making power lies within IT departments? And the big question, where does procurement fit in to all of this? 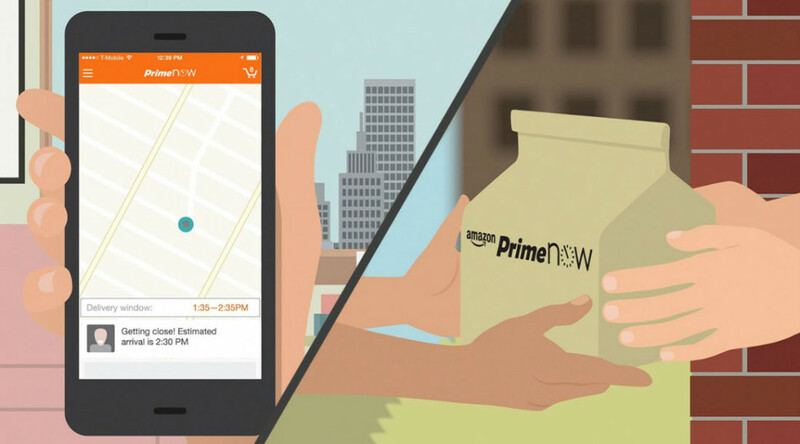 Amazon Prime Now will force retailers to reassess existing delivery strategies. The success of Amazon’s new one-hour delivery service will depend on a number of factors, notably product availability, as well as the customer’s willingness to pay inflated delivery prices to secure a product and have it in their hands within 60 minutes. However, if it proves popular, it will up-the-ante on fellow retailers and put pressure on competitors to reassess their existing delivery strategies. The warning comes from Jon Gibson, Head of Logistics at global supply chain consultancy Crimson & Co, in comments supplied to Procurious. Jon believes the key to the service, will be the retailers ability to balance additional delivery costs alongside speed of service. Critical to this will be the need to forge new relationships with unconventional partners, which can ultimately deliver the products to the consumer faster, more conveniently and at an affordable price. Following success in the US, Amazon has recently announced that it would be launching Amazon Prime Now, a one-hour delivery service for UK Prime subscribers in designated London postcodes. If successful, further rollout will follow across the country. The launch is expected to raise the stakes amongst other online retailers keen to grab market share from bricks and mortar competitors. Speaking to Procurious Jon commented: “Historically, delivery strategies have always been a challenge for retailers. The proliferation of tablets and smartphone devices puts the emphasis very much on speed of service giving consumers instant visibility over a far wider range. Visibility of the range has driven a desire for quick access. Reacting quickly and efficiently has always been difficult for retailers, either because they are often serving the online market from retail outlets, which puts pressures on stock, or the massive peaks in online demand surges that have recently been driven by events such as Black Friday being too great for traditional transport methods to cover. He continues: “For a consumer, the opportunity to buy a product online and have it in your hands within an hour is hugely appealing. The biggest barriers for uptake of this service will be the associated costs. Products will be delivered by Amazon Logistics, its own delivery business, from an east London warehouse, at a premium delivery price. Savvy retailers should therefore look at how they can compete with this. Remember the first time someone tried to explain the supply chain to you? You were likely at university or perhaps it was in your first job. The whiteboard markers came out and a rudimentary picture that included farmers, factories, trucks and shops all joined up with lines and arrows were drawn. Well, such supply chain drawings have come a long way. I was reminded of this yesterday when talking to a colleague about Sourcemap, a website I stumbled across years ago, but appears to have developed a great deal since I last checked in. In short Sourcemap is a supply chain visualisation tool that, according to the company, allows you to map your end-to-end supply chain automatically from your purchasing data. Linking raw materials all the way through to end customers. Not only does Sourcemap allow firms to produce a visualisation of their supply chain, it also enables supply chain analysis (such as the carbon foot print) at each supply chain node. Below is a video that summaries what Sourcemap aims to achieve. Supply Chain Mapping for Everyone from Sourcemap on Vimeo. In its free edition the company details the supply chain journey of some of our most frequently bought products like BIC pens, Starbucks coffee and Colgate toothpaste. It maps both the upstream and downstream activities in the supply chain as well as the complexities present along the way. The tool allows you to zoom in and out on a world map to either gain a broader or more granular perspective on a particular supply chain. 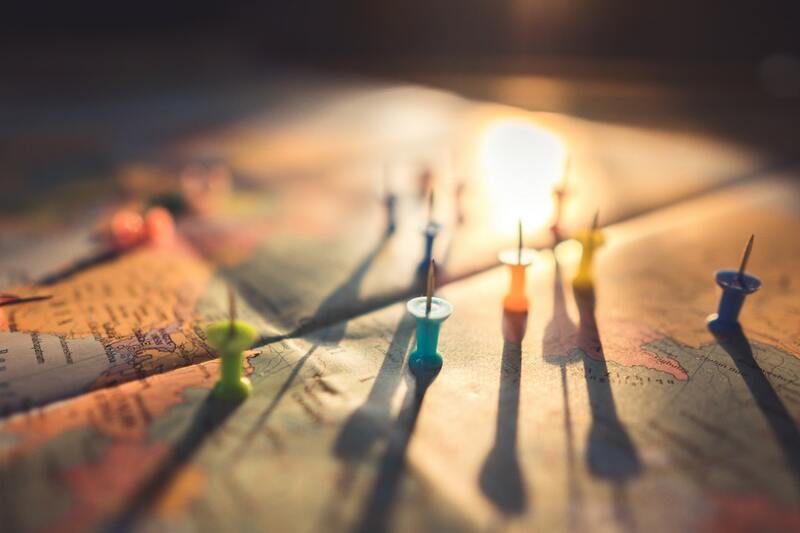 From a quick look at the site, Sourcemap appears to be a brilliant tool for summarising a supply chain while concurrently providing insights into risk profiles and supply chain performance. It would make a great icebreaker when trying to get buy-in with senior management around what exactly is happening within your supply chain. Images are one of our most basic and effective communication methods. Children learn to draw before they write. As the saying goes, ‘a picture is worth a thousand words’ and I for one, would much rather use a fully automated, interactive picture than read a thousand words about the make up and intricacies of a supply chain, I’m sure your boss will feel the same way.